Thousands of homes were left without water in Birmingham after a "major mains burst". 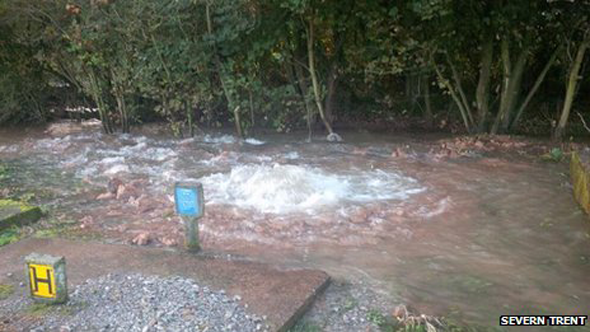 Severn Trent said several areas of the city were affected due to the problem at Frankley treatment works. Rob Salmon from the firm apologised to customers who were without water or experiencing low pressure. Water supplies are "slowly being restored" to homes including 2,900 properties in Great Barr, 1,500 around Northfield and 600 in Selly Oak. Another 2,700 properties in the Bartley Green and Woodgate areas were due to have water restored on Sunday afternoon. The firm said the interruption to the water supply could cause the water to appear slightly yellow or orange in colour for a short period, although this should not pose any health risk.